We're a very fast growing and have doubled in size over the last five years! Our customers are tradesmen and serious home improvers who need to get their jobs done quickly, affordably and right first time. Screwfix – Why Work For Us? 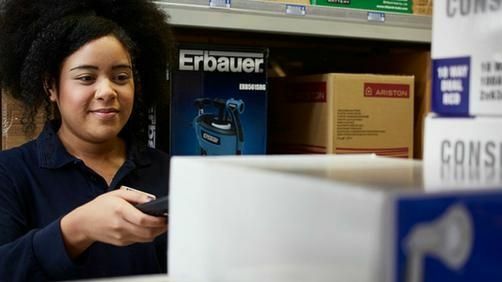 Here at Screwfix we focus on providing our customers with value, product leadership and convenience, all while making sure we look after our own people with a host of rewards and benefits. Our people love working here, whether that's across Trade Counters, Head Office or our friendly Contact Centre, there will always be something to suit you. And the opportunities don't stop there. We're part of Kingfisher plc, the international home improvement company who also own B&Q, with over 1,200 stores in 10 countries across Europe, Russia and Turkey. Tradespeople and serious home improvers can’t get enough of us - and we graft hard to give our customers what they want - quickly, affordably and right first time. Visit www.screwfixcareers.com to see how you can #MakeMoreofYourself. Starting as a mail catalogue business, we’ve always been determined to grow. Opening over 60 stores a year for almost a decade now, we’re the UK’s largest supplier of tools, accessories and hardware products. Thanks to our huge network of Trade Counters, the UK’s builders, plumbers and electricians are never more than 20 minutes from the part they need, on any job. With an expansion strategy as good as ours, there’s no smarter move than choosing a career with Screwfix – the potential to progress is incredible. Thanks to our rapid growth, working at Screwfix is much more exciting than at other retailers. Our ongoing expansion has allowed us to create new roles, giving our colleagues greater exposure and responsibility so that with the right attitude, you’ll have the means to get ahead. The harder we work, the faster we grow, and the more people can progress. We’re firm believers in promoting from within and the rewards speak for themselves. However, it’s not all hard work and no play! Whether you’re based in our Head Office or Contact Centre in Yeovil, or a Trade Country across the country, we’ll make sure that you feel part of the Screwfix family. It’s even easier to perform at your best when you’re buzzing off the kind of atmosphere we generate! Well over 90% of our people recommend working for Screwfix! Our philosophy is to provide employees with a balanced and competitive reward package and as we’re part of the Kingfisher group we can offer an award-winning company pension scheme along with a host of other benefits and rewards. When it comes to engaging our people, it’s fair to say we’re leading the way within the Kingfisher Group. Alongside our competitive reward package, we offer fantastic training opportunities allowing our colleagues to grow and progress. We’re firm believers in investing in our in-house talent - over 50% of our retail management teams are promoted from within and even some of our Board members are internal promotions. At Screwfix great people really can have a great career with great benefits. We pride ourselves on our supportive culture and we wouldn’t be the success story we are today without the amazing people behind it all. Whether you’re giving us your strategic insights in Head Office, showing your personality in the Contact Centre, or getting to know customers at one of our Trade Counters, you’ll become a part of our dynamic team dedicated to our customers. Whichever role you choose, we’ll ensure that you feel an important part of the Screwfix family, so get in touch and Make More of Yourself. In this business you can progress from part time service assistant all the way up to an area manager. There are so many opportunities to learn and grow, along with registered qualifications. It is down to you for how far you want to go. There is a massive development support network to help you all the way with so many new stores opening the expansion is massive. Change.... this is a word to get used too, but not in a bad way. As we expand and develop we are always looking at new ways of working. Keeping it simple. This is a role with great family values and a great work life balance. The business really cars about you. I applied online. The process took 4 weeks. I interviewed at Screwfix in November 2016. The whole interview process was very positive and the Company was in touch and guidance throughout the whole time. After initial phone call, I have arranged a phone interview and moved on to 1:1 interview. All materials and task for this stage have been provided by the Company's recruitment department. After successfully passing the 1:1 stage, I was invited to meet with one of the directors, for a casual meeting, after which I got a job offer. 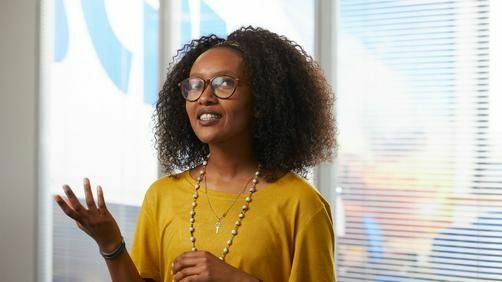 Glassdoor gives you an inside look at what it's like to work at Screwfix, including salaries, reviews, office photos, and more. This is the Screwfix company profile. All content is posted anonymously by employees working at Screwfix.